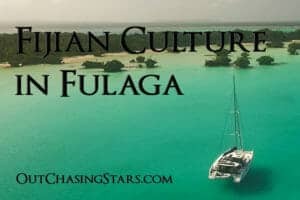 While Fiji has a pretty extreme number of tourists every year (700,000 tourists a year, with a population of just 900,000), most tourists flock to the western side of Fiji. We are getting to explore the east side, a rarely-seen and hard-to-get-to area. 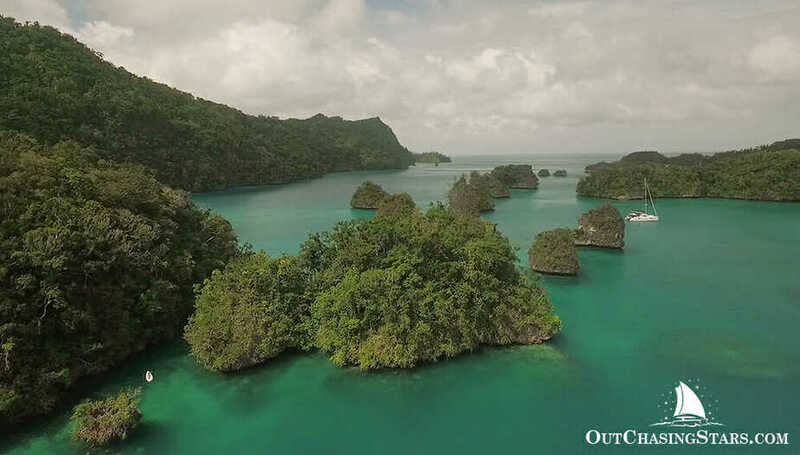 It’s much easier to visit this part of the world via your own sailboat (well, if you don’t factor the costs and effort of buying and outfitting a boat…). 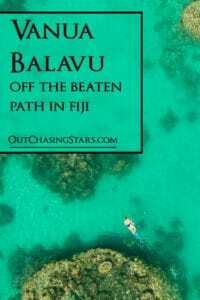 However, you can get there via other means, and Vanua Balavu is well worth the travel. In fact, it’s our favorite place after four and a half months in Fiji! 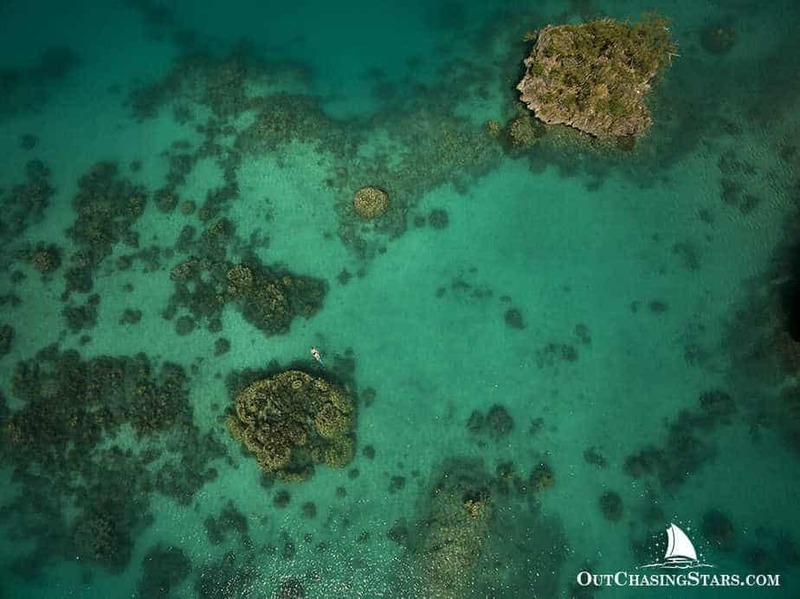 Our friends Lewis & Alyssa run Quixotic Charters, based out of Savusavu, Fiji. 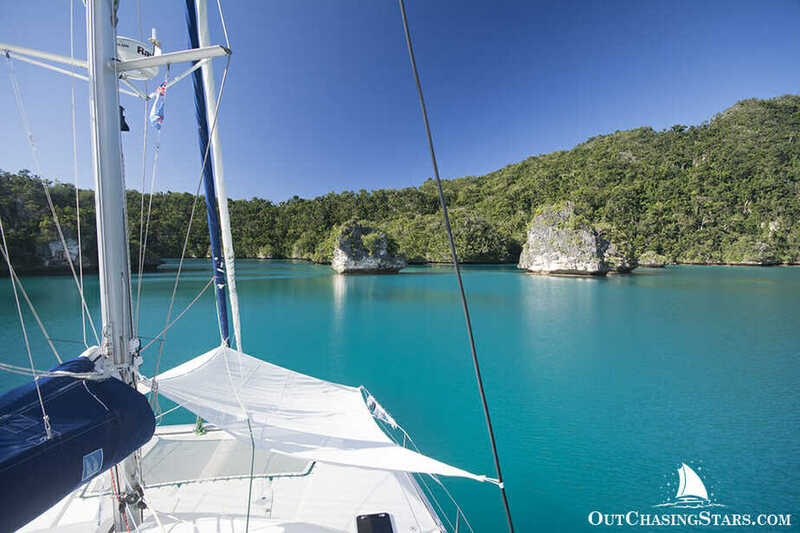 You can charter Quixotic and sail down, or she can meet you in Vanua Balavu. Fiji Airways operates a Fiji Link flight to Vanua Balavu from Suva on Fiji’s main island. When we arrived into Vanua Balavu on August 21st, it was approaching 5 pm, and we felt it was a bit too late to go to shore to give our sevusevu to the chief and ask for permission to enjoy their lands. We also weren’t sure what day it was. 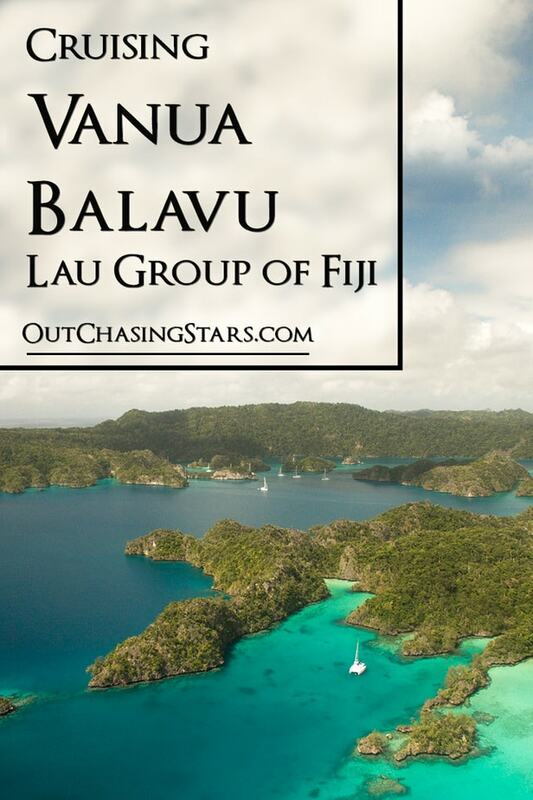 Technically, the Lau group is across the date line from Savusavu. Tuesday morning (or what we thought might be Tuesday….) we went ashore to present our kava. The sevusevu ceremony is an aspect of the Fijian culture we just aren’t comfortable with yet. We have to dress appropriately – cover knees and shoulders – and ask for a formal audience with the chief. Our experiences giving sevusevu have varied greatly from village to village, so it’s hard for us to figure it all out. The sevusevu at Daliconi went well, it’s a small village and we didn’t see many people. We went for a walk up to the Waitui bakery – a small shack with a oil-barrel oven where we bought sweet rolls from Phil, the baker. It was then that we noticed a storm rolling in. We hurried back to Starry Horizons, where unfortunately we got stuck for two more nights. The sky was overcast with occasional showers, but we didn’t want to move without good visibility to read the water. So we sat outside of Daliconi, waiting out the rain and suffering through the swell on our beam. 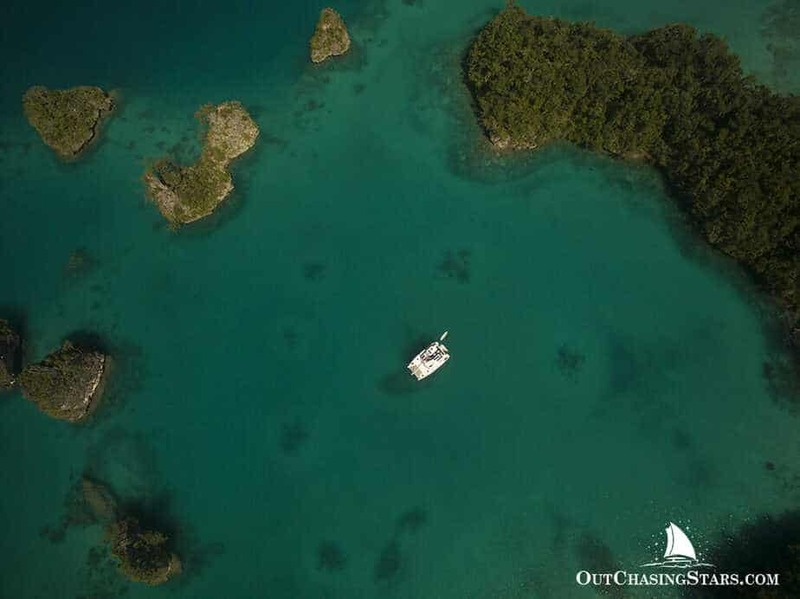 Daliconi’s land includes the Bay of Islands, just a short boat ride over. 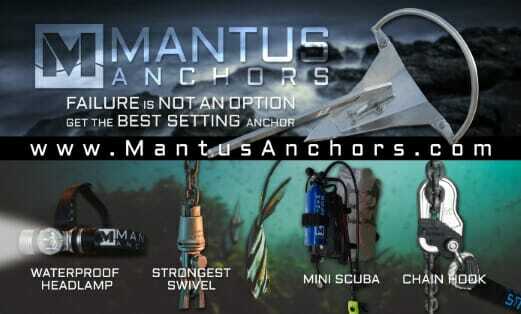 We anchored in Ship’s Sound, with no other boats in our sights. 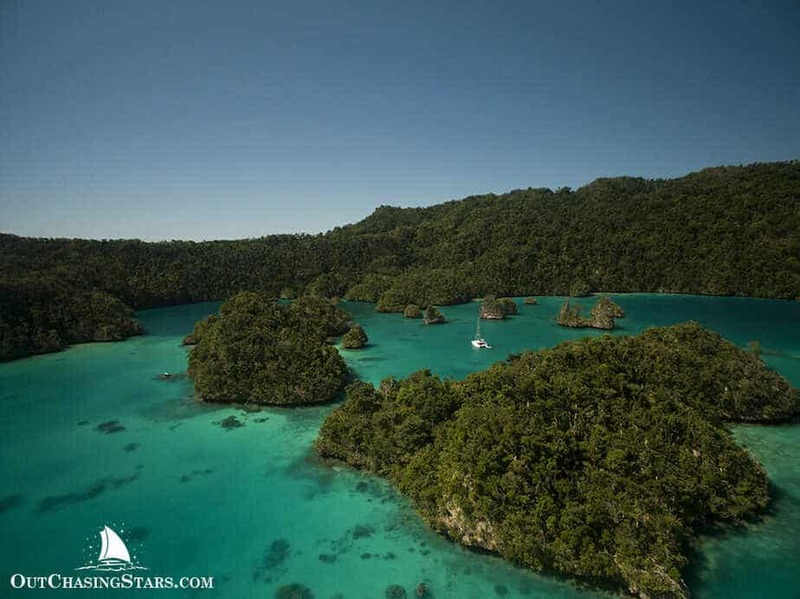 We spent the next six nights in Ship’s Sound, and it’s easy to see why – it’s one of the most stunning anchorages we’ve ever been to. 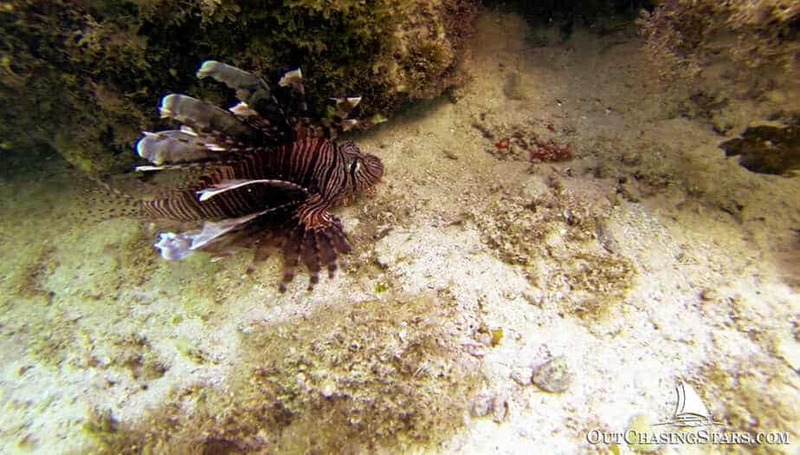 Lionfish spotted from Aquila. 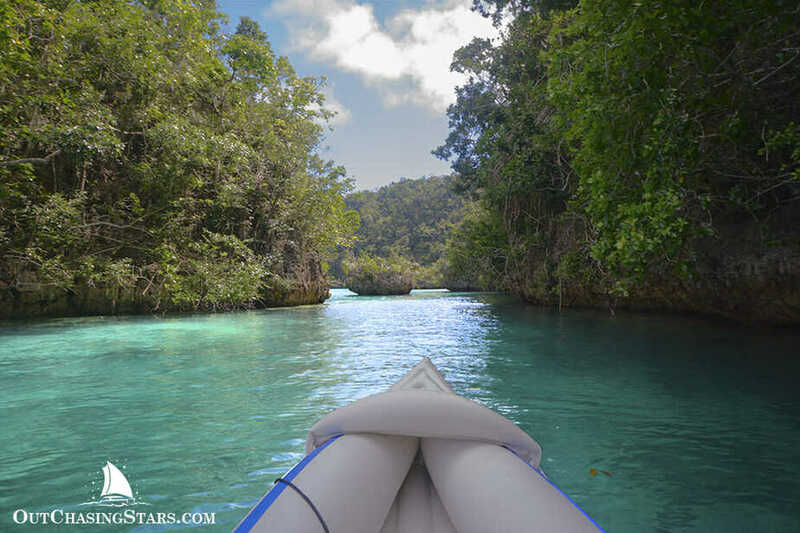 I also saw a blue spotted stingray and a juvenile black tipped reef shark from the kayak. 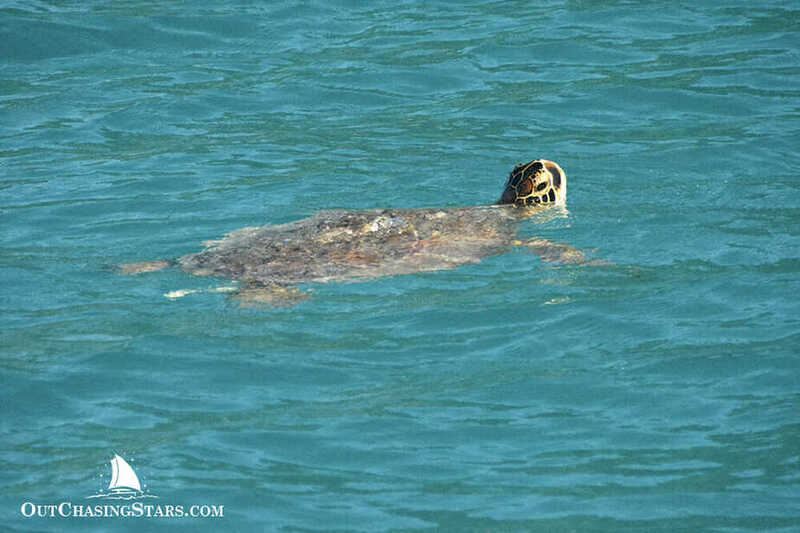 We saw sea turtles many times a day popping up to say hello. 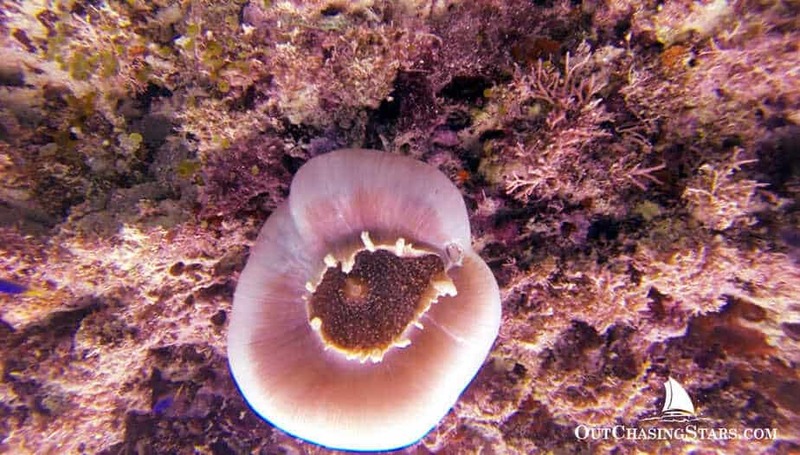 A corallimporph spotted while snorkeling. Starry Horizons to the right, Aqula to the left. The view all around, with our friends on Amarula coming through the turn. Aquila is a perfect little adventurer with me! Lots of nooks and crannies to explore. 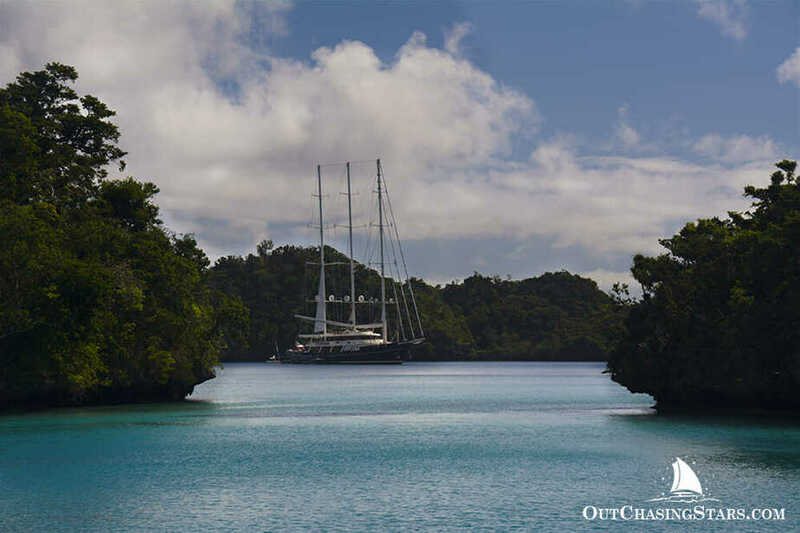 This is Eos – once the largest private sailing yacht in the world. The last two nights we did share the anchorage with our new friends, S/V Georgia. Although we couldn’t see other boats, they were there; Anahata, who we met last year in Fiji, and Moondancer, who we just met. Amarula, who we met WAY back in Nuku Hiva also joined for a while. The five boats got together for a lunch pot luck at a nearby beach, and one night we had everyone over for sundowners here. 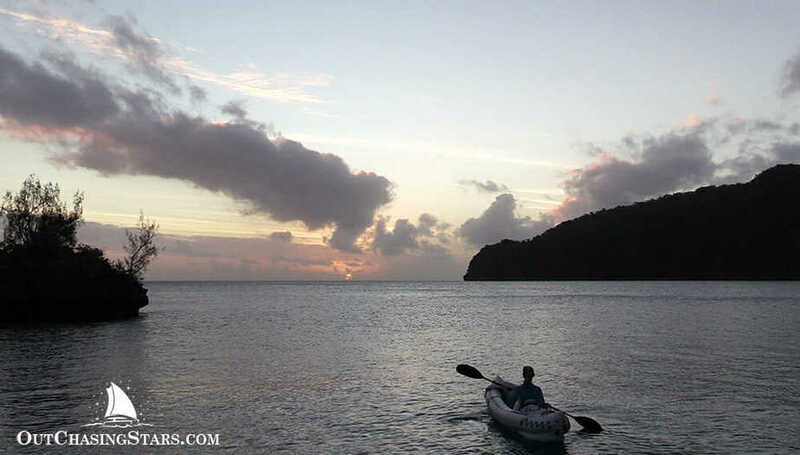 Other than that, we spent a blissful time kayaking, snorkeling, and taking in the view. We were loath to move on, but when we were in Daliconi, the villagers warned us that the Oyster World Rally was coming through and there were dinner plans for 100 people! After the village, many of the boats would be coming our way so we moved on to No Name Bay, a small one-boat anchorage around the corner. We enjoyed a few sunny days and a few drizzly days, but were glad to be out of the mayhem of the Oyster Rally. I also did my longest kayak ever – 4.5 km! Lots f sunset watching from No Name Bay. Starry Horizons with 15 Oyster Rally boats around the corner! At the end of a long kayak I make it back in time for sunset. From No Name Bay was headed around the north of Vanua Balavu into Batavu Bay. 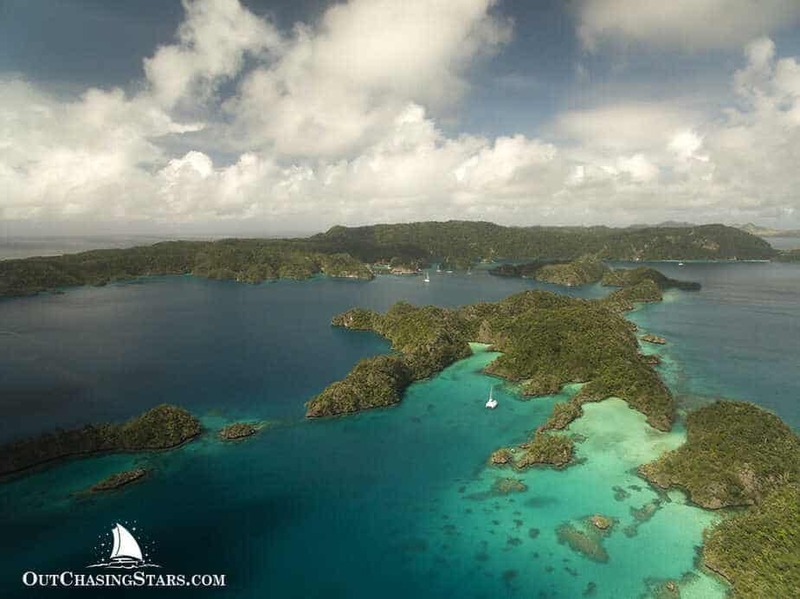 This deep and empty bay has one big attraction: a hike past the plantation back to the west side of the island, where you can look down on the Bay of Islands. The plantation used to be for coconuts, but the coconut trees were damaged in Cyclone Winston and aren’t recovered yet, so the six men that live on the plantation raise livestock – we saw half a dozen horses, maybe a dozen cows, and at least two dozen sheep. We stayed one night in Batavu, taking off after our morning hike. 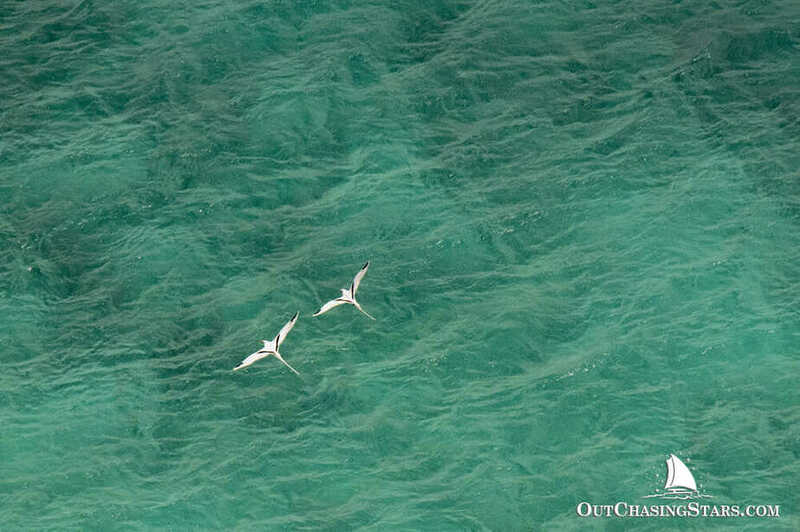 A pair of white-tailed tropicbirds. Our next stop was up and over the island. We’d spent so long in Vanua Balavu that Lewis and Alyssa were coming back around. 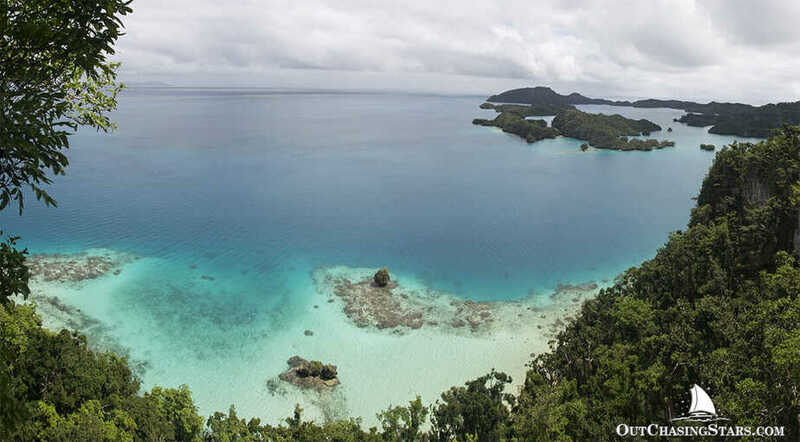 They suggested we meet at Susui, a small village on the south east side of Vanua Balavu. This worked out perfectly for us – the internet signal was strong, and it was close to the south pass called the Tongan pass. The trip around was mostly nose into 20 knot winds, but because we were within the barrier reef it was still nice and flat. It rained on us quite a bit. When we got to the village we tried to give our sevusevu, but the chief was out fishing. Come back tomorrow. It was fun to see all the school kids swimming and playing after their classes were over, as they helped us haul the dinghy up and “raced” us – they swam while David rowed. Friday we popped into town, presented our sevusevu, and took a walk around the village. Both school teachers came out and talked to us, and we were followed around by some young and playful dogs. That afternoon I snorkeled the coral in front of us, spotting many interesting fish and getting up close with a white-tipped reef shark! Lewis and Alyssa came over for a fantastic (if I may say so myself dinner) and shared many crazy stories of their charter boat drama. 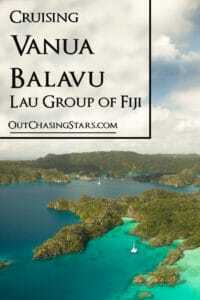 Nineteen days after our arrival into Vanua Balavu, we departed to head south to Fulaga (pronounced Fulanga). 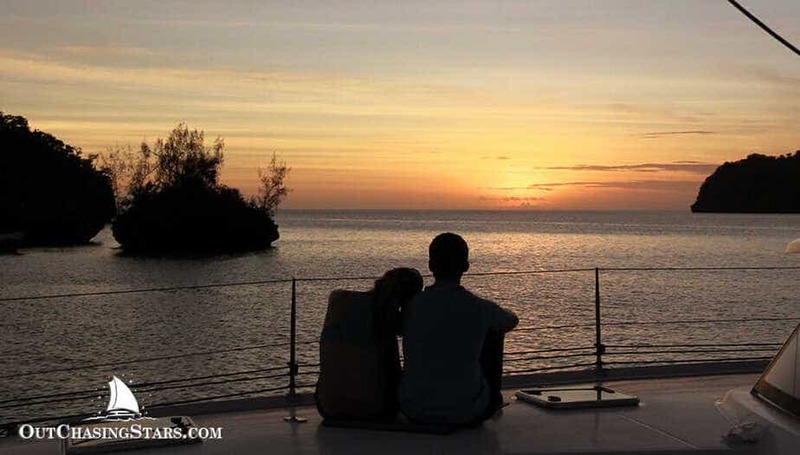 We made the trip over two days, stopping at an anchorage in Lakeba (pronounced Lakemba) for one night. Vanua Balavu and especially the Bay of Islands have been one of our absolute favorite stops ever and sets a high standard for Fulaga, but Fulaga has a reputation as being one of the best stops in the world. Oh my goodness this looks amaaaazing! I love all your photos. Gorgeous, gorgeous, serene beauty–all captured in your great pictures. Glad you’re doing your yoga, Amy, and David, that must have been fun with the kids swimming along side your kayak! Big hugs and lots of love to your both. Thanks Arlene! It was a great time. Wow, great post, and the photos are incredible! Looking forward to seeing some scenery soon.